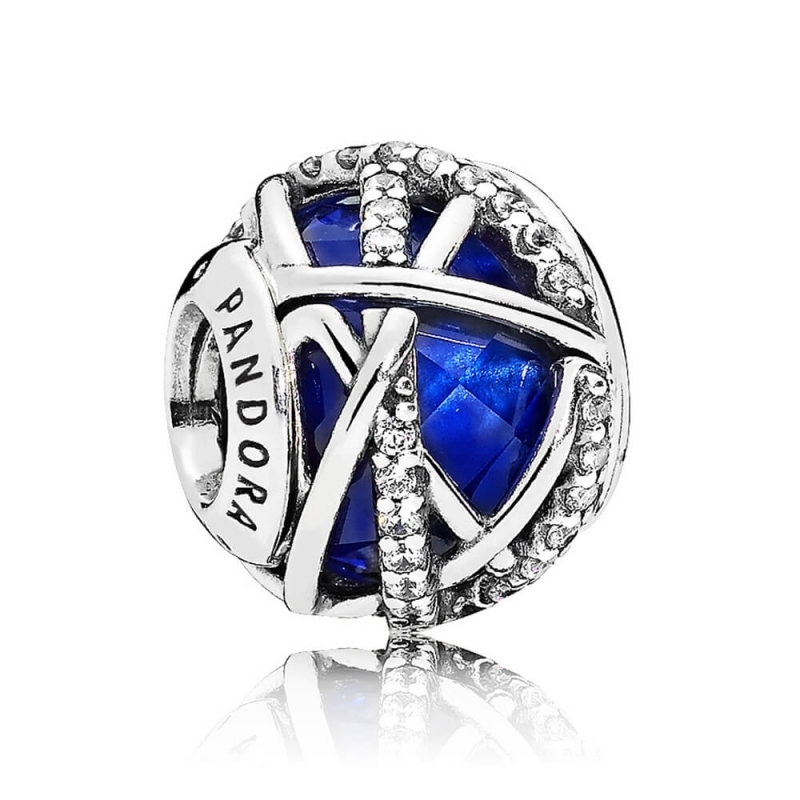 PANDORA Royal Blue Galaxy Charm. Inspired by the beauty of the cosmos, lines of clear cubic zirconia dance around a faceted royal blue crystal on this celestial themed charm. Made from polished and sparkling silver.